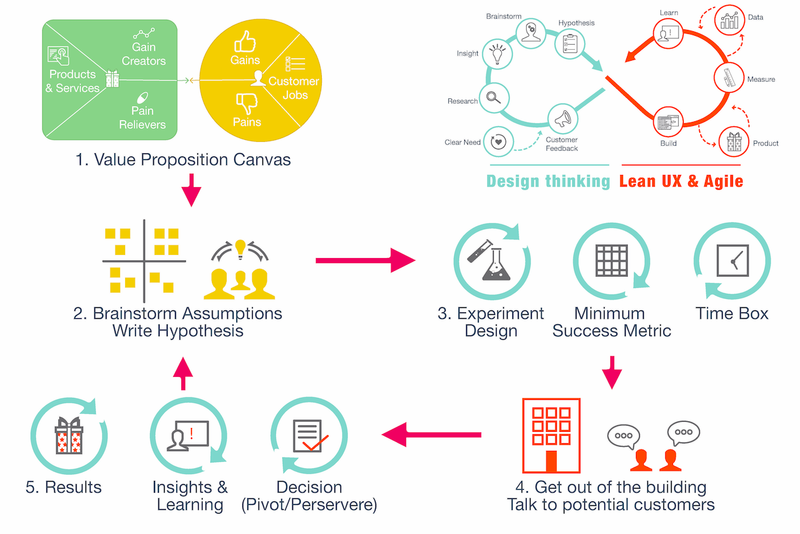 How can Corporates Innovate like Startups do using Lean Innovation? Don’t let perfection get in the way of your progress. Identifying the minimum viable product. Developing the first version quickly and testing it with customers, ideally in a real-world competitive situation. Repeating the process until the core product is competitive or pivoting to explore a new approach. This is very much in contradiction to how things work in a conventional product development cycle. Teams usually spend enormous amount of effort in creating extremely sophisticated products over many months without seeking any active customer feedback. And this often results in creation of products that are either too late in the market or are way too different from what the customers desire. 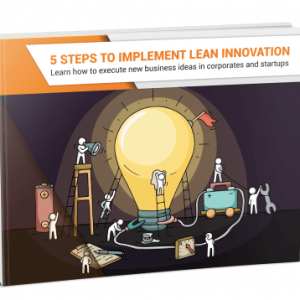 Lean Innovation can work wonders in different kinds of corporate environments. Not just exclusively process-driven ones. In fact, the real power of this approach lies in creating a great environment for learning in an organization. Teams tend to iterate and release in rapid cycles while catering to the needs of customers in real time. This empowers them with massive amount of knowledge in a very short span of time, thus enabling them to become more efficient and effective in what they do. Lean Innovation is exactly the answer that established companies struggling to innovate with the speed and urgency of startups are looking for. Unlike in startups, innovation needs to happen at different levels in a mature company. There is no one-size-fit-all solution. Even within an organization, you need to have different levels of innovation with different focus, different tools and different goals. So before you charge off to building and testing ideas at lightning speed, you must identify which part of your business can surrender to what sort of innovation. The level of innovation is defined by whether your activities are supporting an existing business model, a partially unknown business model or searching for an absolutely new one. Level 1: When it comes to a company’s core business, the existing business model is usually established and the management works by building repeatable and scalable processes. At this level, innovation must be targeted at processes, procedures, costs and product management. Level 2: When a company looks for new opportunities in existing business models, the management resorts to experimentation with its existing capabilities. 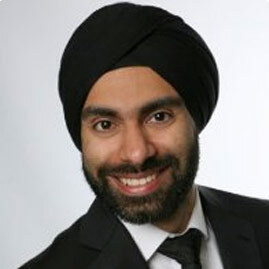 At this level, innovation could come in the form of trying new sales channels, venturing into new customer segments etc. Level 3: When an established company searches for new business models, they must either incubate a startup or an innovation lab. At this level, innovation is just as disruptive as in a startup, running like a separate unit, outside company’s core business or existing operations. “At FordDirect,” he adds, “we challenge our Innovation Lab to keep an eye on evolving technology, monitor changes in consumers’ behavior and model future needs. Successful innovations can sometimes become so big that they turn into independent businesses. Or else they get absorbed by the core business. However, the inevitable chaos that such innovations create in the existing set up remains consistent. Ideally the management in the core business must be equipped to clean up the mess, align and scale up such successful innovations. It is the most natural course of progression in Corporate Innovation. Here’s a step-by-step guide for managers looking to test or discover new business models. Intrapreneurship is a topic that has become increasing more popular as large companies struggle to find ways to maintain their competitive edge in this difficult economy. Intrapreneurship is similar to entrepreneurship, except that it focuses on ways corporations can act “entrepreneurially” from within established organizations.